The 2017 Hyundai Elantra Limited has a lot of “newness” going on, other than the “new car smell” brand new vehicles are known for. 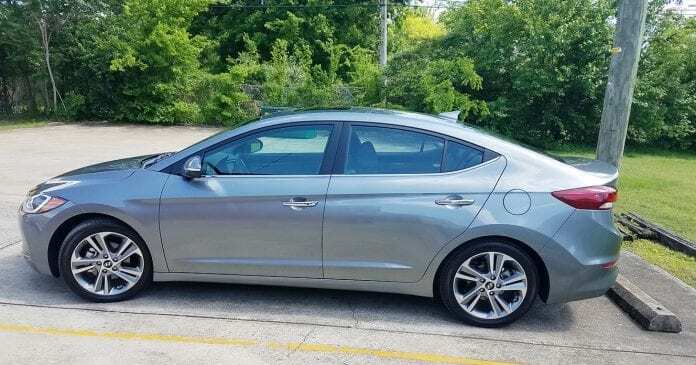 The engineers and designers working on Elantra made a lot of new upgrades such as greater use of high-strength steel to reduce body flex. In addition, they updated the rear suspension geometry and added insulation to the upper body plus the thicker front door and rear window glass. Front suspension and steering bushings were improved to reduce vibration. What you’ll notice is a serenely smooth yet responsive ride. Elantra is the only vehicle in its class to offer an available hands-free smart trunk. When you’re loaded down with boxes and bags, you’ll love how it helps out. It’s a must-have feature for serious shoppers everywhere, but especially handy in the parking. The Elantra long list of luxury features includes leather seating surfaces with heated front seats and a 60/40 split-folding rear seatback. The number 7 is your lucky number with the Elantra. Among its many features where seven is found includes a 7-passenger leather seating and a 7-inch display audio AM/FM/HD Radio™/SiriusXM* with Android Auto™ and Apple CarPlay™ and 17-inch alloy wheels with 225/45R17 tires.